RUSH: Folks, this happened Friday after the program was over. I’ve gotta point this out to you. Linda Vester, formally of NBC and Fox News, accuses Brokaw of sexually harassing her two times. So Brokaw gets up at 4 a.m. Friday or Saturday, I forget which day, to write a long letter to friends and colleagues. He describes her attack and the media reporting it without questioning. He describes himself as the victim of a Drive-By Media hit. Except Brokaw was ripping the Washington Post for writing unquestioningly, like they didn’t say that Linda Vester claims. (laughing) They didn’t say that Linda Vester claims that Brokaw did this or that. Linda Vester says that Tom Brokaw grabbed the back of her head and forced her mouth onto his and a tongue wrangle then began. And Brokaw called the coverage of this a Drive-By hit. I just loved it. 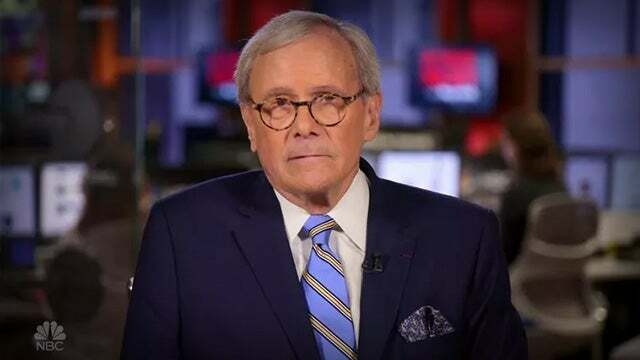 CBS: Tom Brokaw Responds to Sexual Misconduct Allegations: "I Was Ambushed and Then Perp Walked"